All issues concerning Small Farms, Agriculture, Local Food Systems, and the Natural Resources. I recently attended one of the 2018 Farm Economic Summit meeting and heard a presentation given by Dr. Scott Irwin, Dept. of Agricultural & Consumer Economics at University of Illinois. In this talk, we were shown the similarities between the price trends of the past 70 years. 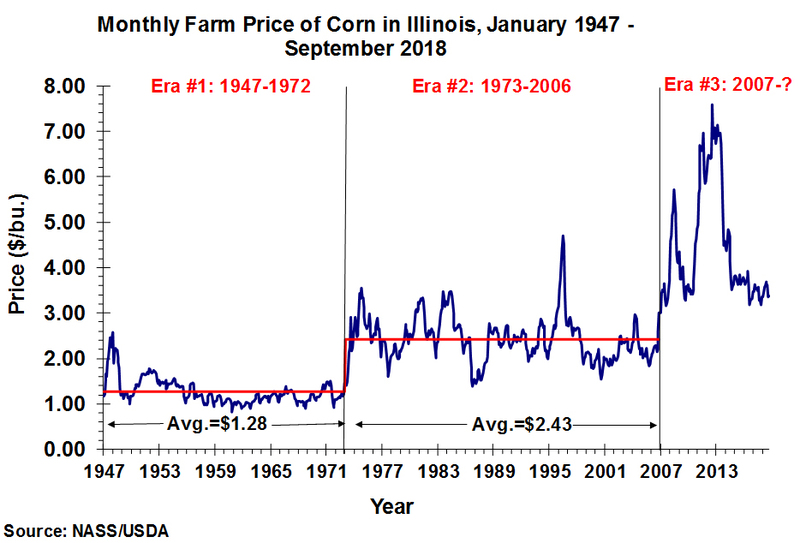 During this period, Scott showed when new demand for grain caused prices to rise to higher levels and that occurred three times in the past 70 years – the late 1940's, the mid-1970's and then recently 2007-2013. 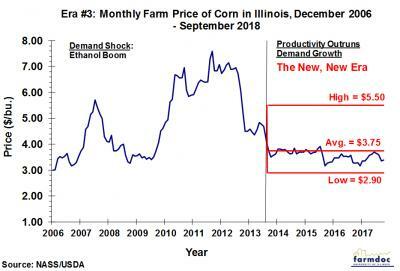 These high demand, high grain price periods were then followed by periods of stagnant to declining prices as world grain supply outgrew demand growth. During these periods of lower world demand, there were still spikes to higher prices due to supply disruptions from weather problems, but they were short-lived, as in 1980, 1983, and 1996. 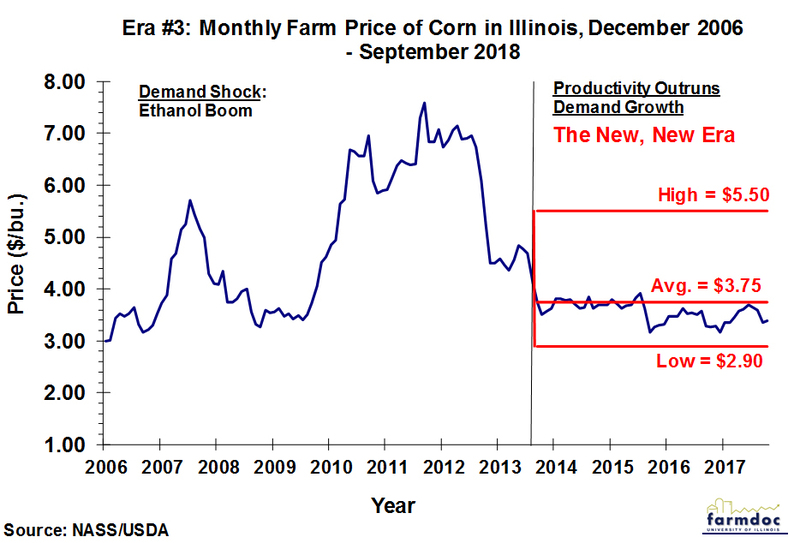 All this leads to Dr. Irwin's premise that grain prices are currently in a period of oversupply and lower demand, which leads to the need for grain producers to readjust their price expectations for financial planning and budgeting. 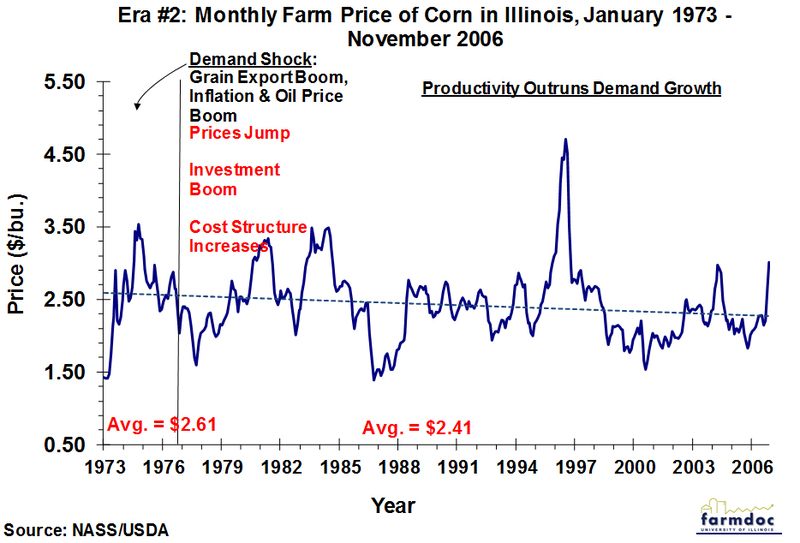 The forecasted new normal range for corn prices is $2.75 to 5.50 with the average in the upper $3 range. 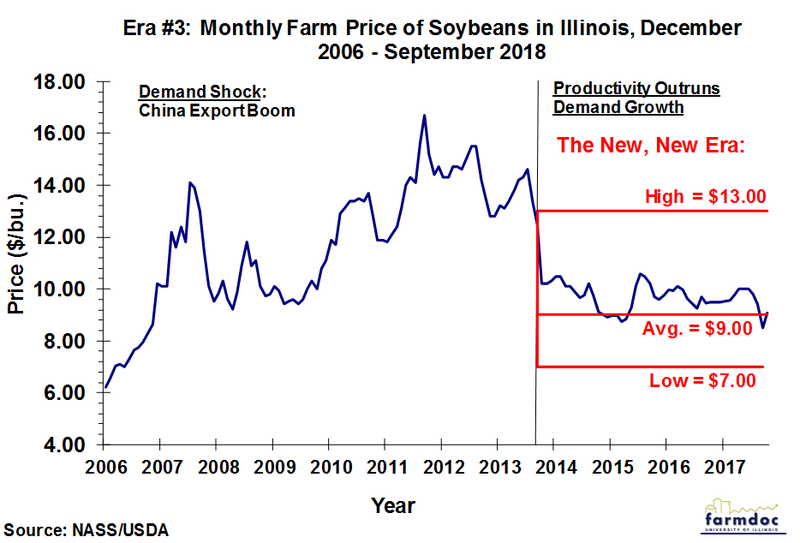 For soybeans, the new price range is $7 to $13 with the $9 being the average. As mentioned before, the higher prices of these ranges will be due to weather problems causing short-term supply shortages. With the likelihood of grain prices averaging less than what we have seen during the 6-year period of 2007 to 2013, grain farmers need to know their cost of production to the penny. The efficient and lowest-cost producers will make money in this lower price environment. 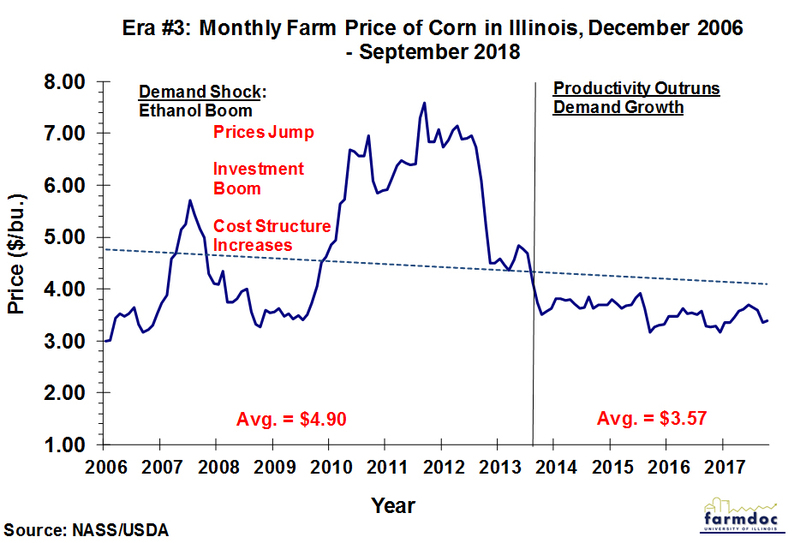 For more information on this and other farm business and management topics, visit the farmdoc DAILY website: https://farmdocdaily.illinois.edu/ .